Sensor Tower has a full API Documentation page for all data points within our App Intelligence product. 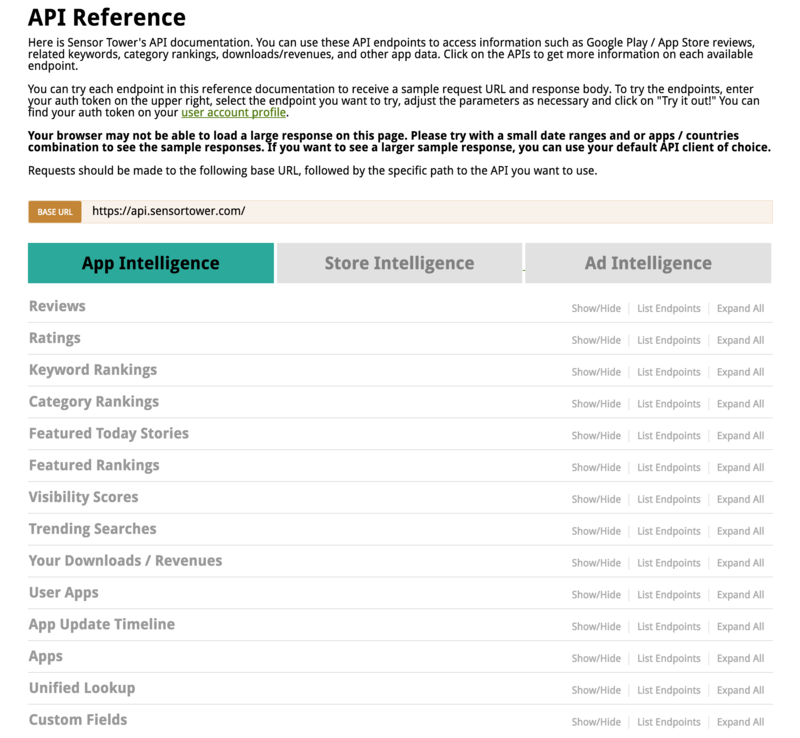 You can use these API endpoints to access information such as Reviews, Ratings, Rankings, Featurings, and other app data for any app. Click on the APIs to get more information on each available endpoint. You can also pull App Intelligence data directly via our API for even more flexibility in data analysis. Endpoints include Reviews, Rating, Keyword Rankings, Category Rankings, and much more. Visit https://api.sensortower.com to view more.